Worldwide Leadership Training Meeting – Looooooong post here – sorry :) – It Works For Bobbi! Published on February 9, 2008 August 9, 2016 by Bobbi-Jo G.
I just came back from the Worldwide Leadership Training Meeting and I am feeling so uplifted and encouraged! The theme was “Raising up a Righteous Posterity” and it was largely based on “The Family: A Proclamation to the World” . I can not express how much the words I heard meant to me, and I can not encourage you enough, if you have the chance, to see this broadcast or obtain a copy of it. What did I learn from it? There is far too much to include here, but I’ll share a couple of the quotes that stood out to me, that pertained to my life at this time. The beauty of the broadcast was that it spoke to men and women of all ages and circumstances. I have experienced many times when the values I live are “mocked on every hand” and certainly wouldn’t be described as “popular” EVEN by other members of the church. Especially when it comes to my decision to strictly be a stay at home mother and homemaker to my children. The term “homemaker” has a negative connotation in the world, and even among many women in the church who feel that somehow that counsel is outdated and unrealistic. I disagree! We can’t confuse homemaking with housekeeping! Making a home is so much more – and nothing could build me more as a person than the work it takes to build up a righteous posterity in these days. I don’t need a full-time career to make me worth something. I don’t need the fanciest this or the newest that, or the nice vacations or the 2008 van to feel fulfilled and happy. It’s funny how when there are big time problems in families, they can so often be traced to “things” – whether you’ve got too much, or not enough. I accept that living on one income will mean sacrifice and mean doing without some things. But if it means being there (physically and mentally) for my children and my husband, creating a “climate” where spiritual growth can occur, then it is worth any amount of sacrifice. Is that an unpopular sentiment? YES! Why? Who knows. I’m not sure why it’s so hard for us (especially women) to embrace each other in all our diversity and cheer each other on instead of tearing each other down. During the broadcast it was mentioned often how we are tempted to adhere to the world’s standards – making them our own. We must avoid this. We are supposed to be a peculiar people. We know that and we can have faith that the Lord’s commandments are still in force – and that He does not give a commandment to His children that we can not keep. 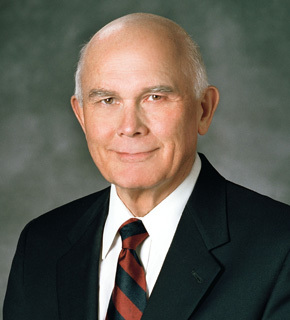 Elder Dallin H. Oaks asked us to avoid taking the world’s ideas as a guide in parenting, marriage, and other Eternal decisions. To not be equally yoked with the world. I can understand this principle and the danger there is in using the guidelines the world sets forth as our own. For one thing, we know that Satan has always made it his first priority to destroy the family…think of Cain and Abel. He is using the same tactics today, and we need to do as Elder Holland pleads “CLING to the doctrine!” which is something sure in a world of shifting values! 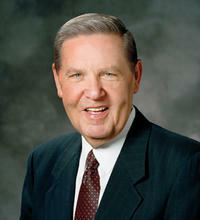 Elder Boyd K. Packer said “The things we won’t do, we CAN’T do!” It was said in the broadcast (I think by Elder Boyd. 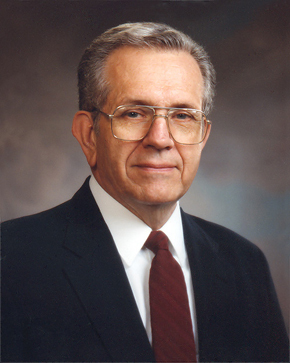 K. Packer) that the only place our families will be safe is in the ordinances of the gospel. There is so much evil in the world that it’s tempting to be afraid. But we also are told “Live the gospel and you’ll be all right!” There is so much joy to be had and if we can’t put our trust in the Lord and His commandments, in whom can we trust? who gave so many wonderful insights that I can apply in my life today. They are so wise and loving. It was amazing to be able to essentially “Sit at their feet” and be taught by such wonderful women (and the wonderful and amazing apostles as well). There was wonderful discussion about marriage and ways that we can strengthen and improve our marital relationships. Sis. Lant talked about how so often in our Society when there are problems in a relationship, there is much talk about which of MY needs aren’t being met, instead of saying “How am I not meeting the needs of my spouse? How can I improve?”. Who is not guilty of this? Families are central to the Creator’s plan for His children, and I think the marriage relationship is vital to the success of a family. 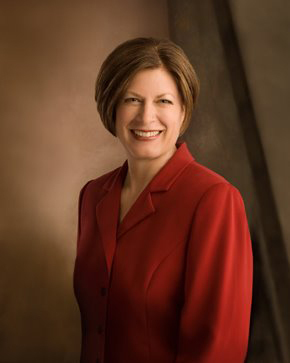 Some advice that really stuck out to me was from Elder Holland (I believe) who told us that we must look FIRST to each other in marriage when there are problems. Not first to your parents, or first to your siblings, or your friends. Look first to each other! What sage advice that it! Another great quote that I’ll have to remember was from Sis. Lant who said “It’s not about who’s right. It’s about what’s right.” I consider myself on the stubborn side. Trust me – so is my husband. It could be very easy to get caught up in “who’s right” if we wanted it to. And it has on the odd occasion. LOL! But trying to live correct principles, based on love, respect, understanding, and humility, we can always agree on WHAT’S right in the end. I really loved that quote and plan to display it somewhere I can see it regularily. I loved the discussion on how to support the family unit in the Church, and how it was mentioned that sometimes magnifying our callings means doing LESS! If you aren’t a member of our church, you may not understand that we do not have a paid clergy. Our clergymen and clergywomen run the programs of the Church as volunteers, at the same time holding down a full-time job. This can become taxing on families if both spouses hold demanding positions, as well as trying to accomodate the programs the Church has for the children and youth. 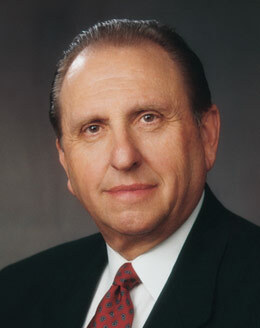 It was either Elder Oaks, or Elder Holland who said that “Busy parents ought not to have multiple callings.”. Hmm… interesting. I suppose that means that some smaller congregations will have to do without some programs, or have them run more simplistically in order to allow more time for families to spend more time together. The Brethren and Sisters were careful to clarify, though, that the idea is to create more of a vaccum to be filled with quality family time, NOT filled with even more extracurricular activities. I can see their point. There are a lot of good wholesome activities available out there for children and youth that it would be easy to get carried away and leave no time for family time together. I firmly believe that there are certain areas in rearing a child that can not and should not be delegated to the community OR the Church! In our society, we have to consciously MAKE time to be together (unlike other cultures where parents and children live and work side-by-side all day and night). I know there is a lot to take in – the discussion was lively and at times very funny (listen for Sis. Beck’s story about their Family Home Evening’s and the Hymn “Love At Home”), but always full of truth and light. I was feeling a bit under the weather, and was tempted not to go – but I am SO glad I did because I feel a renewed energy to fulfill my role as mother with more ferver, more love, more patience, more teaching, more thought, and more happiness! So glad I went, and so glad to know that I’m not alone out there. There are millions of fabulous women, in all our different circumstances, trying to reach the same goal – to raise good, god-fearing, law-abiding, successful, happy children, and to be happy ourselves! As the brethren and sisters pointed out – we do not all live the “ideal” circumstance, but the Lord’s plan is perfect and we need to always be working towards it in the best way we can. After all – isn’t that what we are all doing? The best we can? I know I am – in all my imperfection. Previous Valentine Treats, Clocks and more! Next Tagged again! Mommy Tag. WOW! I just LOVE this!! I went to the meeting too but didn’t take notes & just tried to absorb everything they were saying. Thank you so much for posting this! You either took great notes or were able to remember everything much better than I can. I LOVED this meeting! It was so great to see the ‘panel’ discussing how we can all strengthen our families! I feel almost energized and ready to ‘step it up’ & try even harder to be a better parent & wife! You have truly captured the essence of the whole meeting! Do you mind if I link you to my blog so others who didn’t take notes or couldn’t go can read about it on your blog? I’m so glad you had the same thoughts and feelings from the meeting, Andrea. I’d be happy to have you link to me from your blog, if you think it would be beneficial to others. I appreciate your comments! YAY! I am so glad you did this post. I really do. I had to make the choice of being with my sister today on her birthday before she went into surgery or to stay in town and go to the broadcast. I chose to be with my sister. I am so glad to see the broadcast was about families and values and spending time with each other. For me I made the right choice today…..however, I am REALLY lucky because my dad taped the whole broadcast at their chapel just before my nephews baptism today….so I will have a copy to see! I can’t wait. Your post was exciting and your words shared inspiring. I LOVE this gospel. Great post. My hubby went to the meeting but didn’t fill me in as well as you did! But while reading your blog I mentioned things to him and we were able to talk a little about it. Thanks. you take amazing notes and wasn’t that panel discussion so fun? I loved that format and learned so much. Those quotes from those inspiring ladies were wonderful too. I started reading this the other day and got side tracked. I have been desperate to come back and read your thoughts becuase my mom had such great things to say about it as well. I didn’t go, but I didn’t even remember it was happening! But I am so happy reading your thoughts. You wrote the quote about its not who’s right, but whats right from one of the talks. UUuuuuuUUUuu… I needed to hear that and be reminded of that. I really wish I would have heard all these talks, but at least I had your thougths to kind of fill me in on what they said. Thank you!